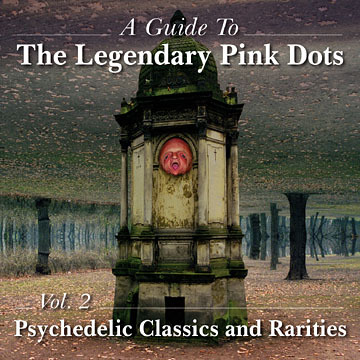 The Legendary Pink Dots, "A Guide To... Vol. 2: Psychedelic Classics and Rarities"
Second in a series of Polish anthology releases. Third disc is a computer drive/DVD compatible video disc featuring portions of a live concert in Germany filmed January 11, 1989. "A Bargain at Twice the Price" is listed as "Bargain at Half the Price" on the cover.